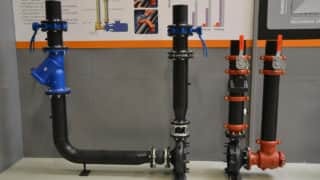 Pennsylvania-based Victaulic, the world’s leading manufacturer of mechanical pipe-joining systems, has been selected as the 2015 Edison Awards Industrial Design bronze award winner for the Style 177N QuickVic™ Installation-Ready™ Coupling. The category distinguishes Victaulic’s latest monumental achievement in mechanical engineering innovation. 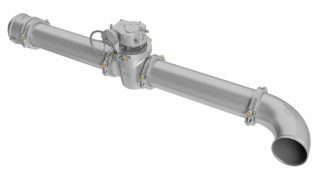 “Winning this award underscores the commitment we’ve made answering our customers’ call for a coupling that’s both faster and easier to install,” said Susan Schierwagen, director of coupling and suppression systems at Victaulic. 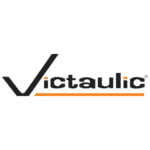 As the inventor and industry innovator of ready-to-install couplings, Victaulic introduced the Style 177N QuickVic™ Installation-Ready™ grooved coupling to meet the unique demands of mining industry conditions. With no loose parts, the preassembled coupling reduces installation to less than five minutes, a critical time-saver for working within constantly changing mine terrain. The Victaulic grooved coupling system also mitigates fume emissions and fire hazards, reducing worker risk and environmental impact. Additionally, the fast pipe installation shortens the timeline for a broad range of other projects, including commercial buildings. This results in construction cost savings and enables service to the community sooner. Named after Thomas Alva Edison, the renowned American inventor remembered for introducing the world to sound recording and the light bulb, the Edison Awards honor excellence in new product design and innovation. Sharing Edison’s inventive passion, the awards program recognizes innovations that make a positive impact on our daily lives. With sixteen categories ranging from energy and sustainability to industrial design, previous winners include everyday innovations such as the Wi-Fi-enabled LED light bulb to a home soda making machine. Since 1987, the Edison Awards™ have recognized and honored some of the most innovative new products, services and business leaders in the world. The Awards are named after Thomas Alva Edison (1847-1931) whose extraordinary new product and market development methods garnered him 1,093 U.S. patents and made him a household name across the world. The Edison Awards symbolize the persistence and excellence personified by Thomas Edison, while also strengthening the human drive for innovation, creativity and ingenuity.